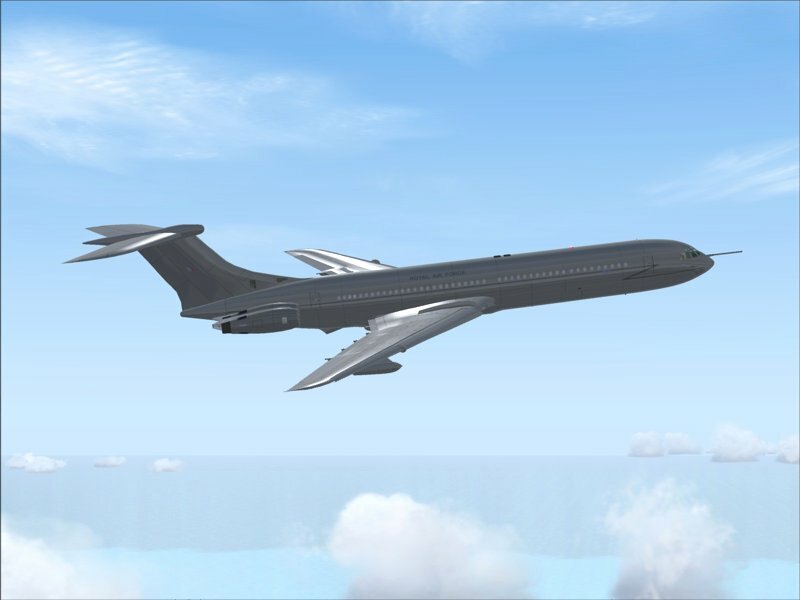 29 Feb 2004: Our simulation of the Vickers Super VC10 Airliner is now complete. 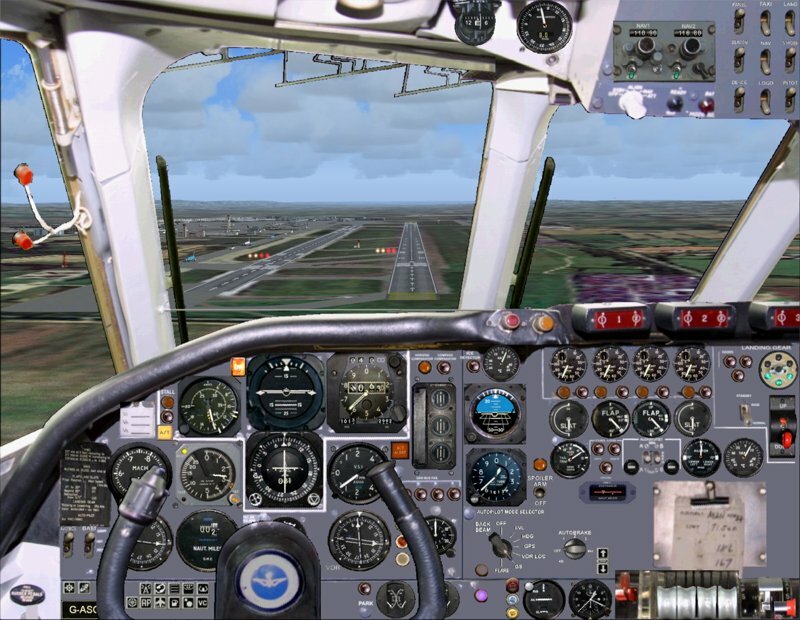 The price of this Flight Simulator add-on has been set at £14.95 UK Sterling. Of this we will be making a donation of One Euro for every copy sold (about 5%) to the Brooklands Museum. 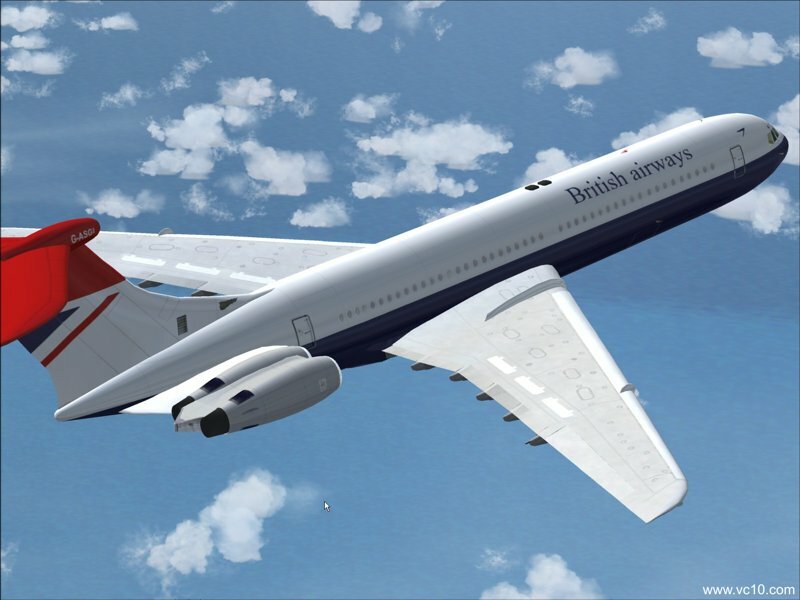 I do hope that you enjoy our simulation of this lovely old aircraft; a milestone in British aviation history. After months and months of work our VC10 2D panel simulation is complete! Click HERE for details. No panel has been produced with so much detail for this extraordinary aircraft. Our Super VC10 full aircraft is complete. 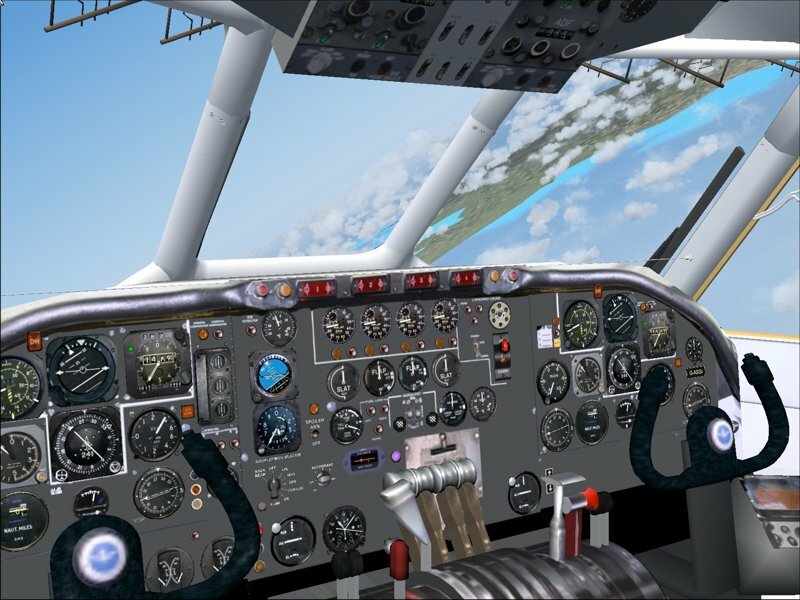 This simulation includes for the first time a 3D virtual cockpit with pan and zoom together with the 2D panel above. It also comes with BOAC gold Speed Bird livery, British Airways Red Tail, East African and RAF Grey liveries. Click HERE for details. Additional liveries will be available for free download from Flight Sim websites such as FlightSim.com when they are available. We will also be allowing customers to produce their own liveries if they wish. Paul Robinson and Geoff Hall have very kindly sent me many VC10 photos which they have taken over the years. They are trickling onto the site as I reorganise things to best display them. Currently I am of the mind to categorise them by registration so please bare with me while I try to achieve this!